The camping lies close to the borders of Belgium, Luxemburg and France, an ideal central situation for undertaking excursions to attractions in these three countries. The parish of Attert is 7.035 ha in size, consisting of 21 villages with a population of 4.234. 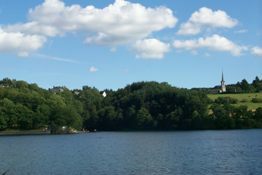 The whole parish, which is unique in Belgium, has been declared a protected area and lies within the nature park "Parc Naturel de la Vallée d'Attert". This beautiful park borders on the nature park of "Haute Sûre". Here you can enjoy unspoilt scenery with its extensive deciduous and pine forests where everyone is pleasantly surprised by the great diversity of birds, butterflies and plants. 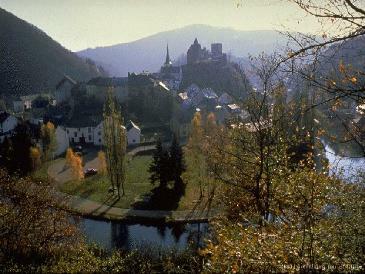 A visit to Arlon, Bastogne, Virton, Esch-sur-Sûre and Luxemburg, with their many ruined castles, nature parks and museums or a trip to the lake of the Haute-Sûre are highly recommended.